Dr. Willard Gaylin is Clinical Professor of Psychiatry at Columbia College of Physicians and Surgeons. 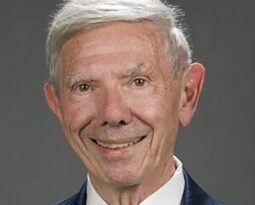 He is co-founder of The Hastings Center, and was its president since its inception in 1969 to 1993, chairman through 1994, and is now a member of the board. Dr. Gaylin received his B.A. from Harvard College, his M.D. from Case Western Medical School, and a Certificate in Psychoanalytic Education from the Columbia Psychoanalytic School. For some 30 years he served on its faculty as a training and supervising psychoanalyst. At one time he simultaneously served as Professor of Psychiatry at Columbia Medical School, Professor of Psychiatry and Law at Columbia Law School and Adjunct Professor at Union Theological Seminary. Dr. Gaylin is the author or editor of 20 books and over 140 articles. In addition to articles in technical and professional journals, he has contributed articles to the Atlantic Monthly, Christianity and Crisis, Commonweal, Harper’s, The Nation, The New York Times and New York Times Sunday Magazine, Psychology Today, Saturday Review, Science, Washington Post, The Wilson Quarterly, and others. Dr. Gaylin is one of the very few practicing psychoanalysts to have been honored by his peers in Psychiatry and Neurology by election to the Institute of Medicine. He is also a Fellow of the American Psychiatric Association, and a Fellow of the New York Psychiatric Society. Among other awards and honors, he has received the George E. Daniels Medal for contributions to psychoanalytic medicine, the Van Gieson Award for outstanding contributions to the mental health sciences, was named Elizabeth Cutter Morrow Lecturer at Smith College, Bloomfield Lecturer at Case Western Reserve Medical School, Sandor Rado Lecturer at Columbia Psychoanalytic Center, a Chubb Fellow at Yale, Visiting Professor at Harvard Medical School, and received the prestigious Henry Beecher Award for Life-Achievement in Bioethics. He has served on the boards of directors of the Planned Parenthood Federation of America, Helsinki Watch, Medical/ Scientific Board of the National Aphasia Association, and was the first chairman of the Human Rights Task Force of the American Psychiatric Association and is currently a member of the Human Rights Committee of the Institute of Medicine. Dr. Gaylin had been a participant in the Fred Friendly Columbia University Seminars on Media and Society since its inception. He has been on panels discussing “Professional Ethics, Medical Ethics,” and the “Bill of Rights.” The 1981 KCTS/TV series, “Hard Choices,” for which he was the narrator, received an Alfred I DuPont/Columbia Broadcast Award for excellence in TV journalism.